Have you ever faced a situation where you were locked out of your vehicle? This can be very frustrating if you are facing an emergency and you have to open your vehicle immediately. That’s when you should seek the help of a reputed car locksmith service to resolve the problem instantly. Such a good company will be specialised in providing replacement car keys for any kind of situation. Whether your car keys are broken or the keys stuck in the ignition, a car locksmith will be able to help you in a short span of time. You will derive a reliable, professional, and an affordable service through this locksmith. Here are the benefits you can derive through hiring the best car locksmith in your area. These can occur due to improper handling of keys and will be really hard to pull out. In this case, you should not try to do it yourself as it can damage your car. Only a genuine locksmith service can properly manage to take out the keys stuck in car door. The professionals from Lockman247 locksmith service will be there in an instant to assist you in times of these emergencies. 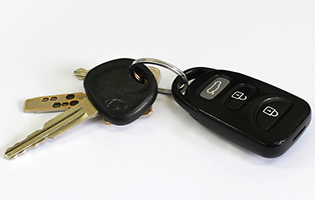 If you only have one key for your car we are able to produce duplicate keys or cards from our mobile key replacement service van. Lockman 247 will provide the service at any time of the day and fix any kind of car key issue. We will also ensure that your vehicle is not damaged in the process of releasing the keys stuck in car door. The main benefit through such a quality service is reliability as you know they will solve the matter very skilfully. If you forget to take the car keys with you, there are chances of you being locked out of your vehicle. In this case, you will need immediate assistance to open your car using a spare key. A genuine car locksmith will help you in the process by making you an extra set of keys. The job of an ideal car locksmith is not only providing replacement keys for your car, but also ensuring that you are perfectly satisfied. They are aware of the trouble caused due to misplaced keys and will understand the frustration of the customer. So, they will go out of their way to please their customers by offering a genuine service at all times. 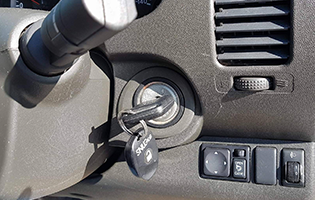 Therefore, if you face any kind of an emergency situation whether it is keys stuck in the ignition or keys stuck in car door, don’t hesitate to call the best key locksmith. They will come to your place in an instant and grant you the best solution possible. This locksmith service operates continuously 24/7 catering to the needs of their customers providing replacement keys for your car. It is undeniably the best company offering a superior customer service with guaranteed satisfaction. Have you broken your car keys by mistake? Don’t worry, call the locksmith and get it replaced now!